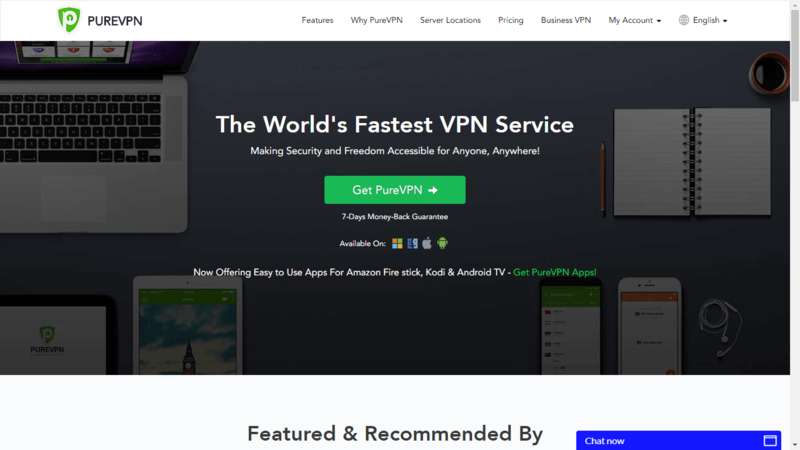 In this PureVPN review 2019 we are going to take a closer look at one of the biggest players in the VPN market. The company has an attractive website with a lot of useful information and instructions, a lot of servers around the globe, and applications for almost any operating system and type of device. The company positions itself as a reliable one which does not collect any user information and keeps no logs. Additionally, the service claims to be the fastest in the world. Is that really so? Are they keeping their promises and act according to what they say on the website? We tested many features, contacted the technical support, and analyzed the provided information. So, stay tuned. Price: Starting from $2.88 per month. 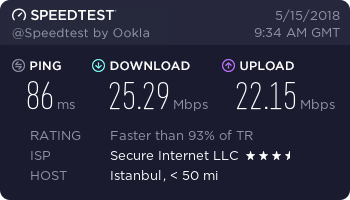 Supported protocols: OpenVPN, IKEv2, IPsec/L2TP, PPTP. Servers: More than 750 servers and 180 locations in more than 140 countries. Payment methods: Almost all existing payment methods. Guarantee: 7-days money back guarantee. 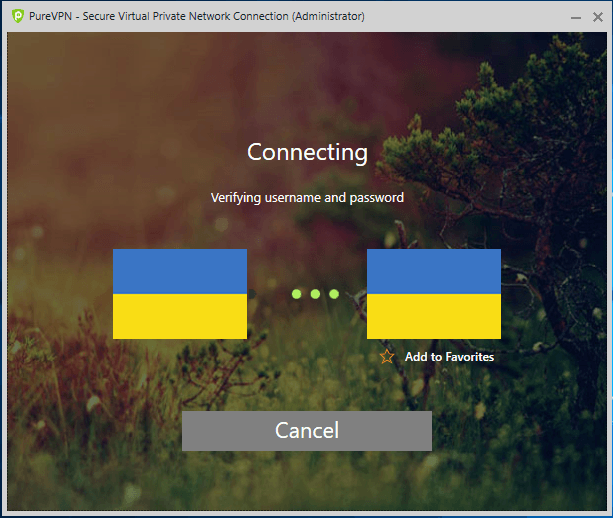 Find our top VPN-provider alternatives to PureVPN below. 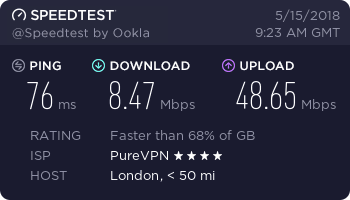 Does PureVPN work with Netflix, BBC iPlayer and Torrents? 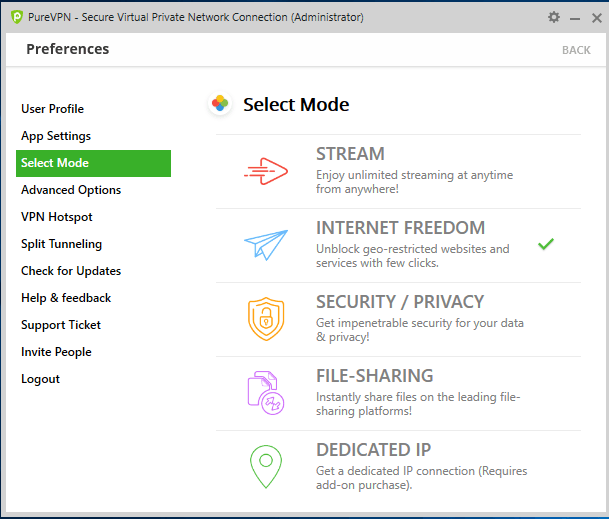 PureVPN is a popular VPN service provided by a company based in Hong Kong. This is actually not the best since Hong Kong is officially a part of China. And we know how they care about the users’ privacy. We found a lot of issues regarding the privacy of users, and the company is not in any rush to fix them. We will detail them in the next sections. 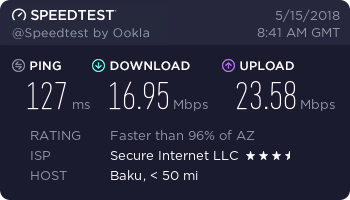 PureVPN is available at an affordable price. If you choose a 2-year subscription, you will pay just $2.88 every month. Additionally, the company promises a money back guarantee within a week. It generally works but recently they officially had a number of restrictions and, in fact, not everyone could get their money back. Now everything looks clear and fair. Regarding the servers, there are more than 750 servers available in more than 140 countries. The choice is really huge but in some countries the number of servers is really lacking. To sum up, the first impression is not bad but after digging deeper it can be spoilt. 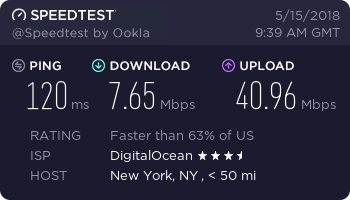 Yes, it doesn’t work bad, most content is unlocked and available, but the service authority is not the best as some content providers like Hulu and Netflix blocked the access to their service for consumers using PureVPN. Agreed, it is not the best. As mentioned above, the company is officially under the jurisdiction of Hong Kong. They explained the choice saying that the Hong Kong law does not force companies to store the user data, unlike the Chinese laws. However, Hong Kong is officially a part of China, and who knows what level of autonomy they will have in the near future. Moreover, if you dig deeper, you will be able to find a connection to a Pakistan-based company called Gaditek. As we know, Pakistan is not a place best known for its strong privacy protection. But the location is not the most important thing. Privacy is really a much more important factor. 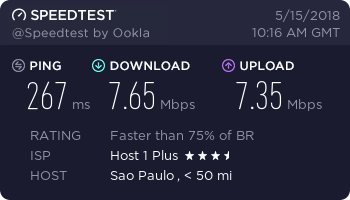 At the same time, they store the information about your connection and bandwidth. The support team explained that this information is kept for troubleshooting purposes. They provided a link explaining the difference between browsing logging and network logging, and promise that they do not keep any browsing logs under no circumstances. And by using your network logging, it is technically impossible to track your activity. It seems that all is good, but it is known that PureVPN secretly directed the logs to the US government. Yes, it was only in criminal cases but then why say then that nothing is kept? We didn’t like that awful fact. 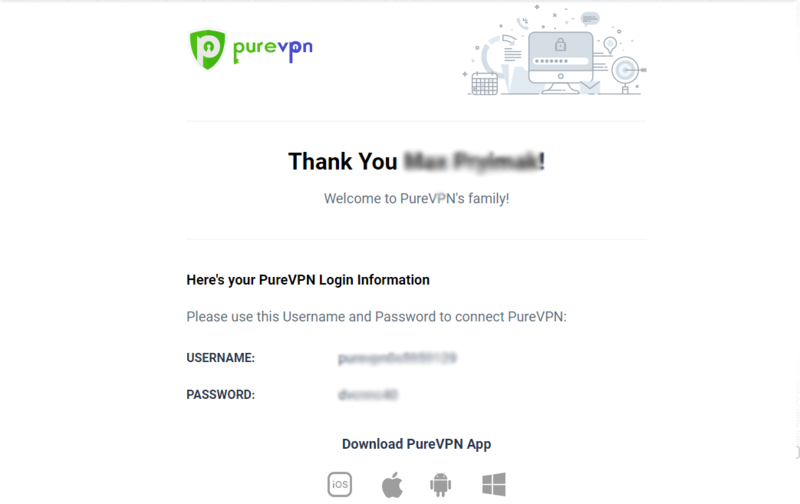 It is obvious that PureVPN is not the best in keeping the high standards of privacy protection. There are well-known issues and the company does not try to fix them. They are completely sure that they provide solid-rock privacy protection. PureVPN provides quite affordable prices. You can choose from three basic plans: 1 month, 1 year, and 2 years. The longer period you sign up for, the more attractive price you get. For example, the 2-year plan will cost you only $2.88 per month. Go to the order page and choose the correct plan. Choose the most convenient method of payment. The biggest advantage of PureVPN over other providers is that it supports almost all existing payment systems, including bank cards, international payment platforms, local systems, cryptocurrencies, and even the gift cards. It is impossible to say that your options are limited. 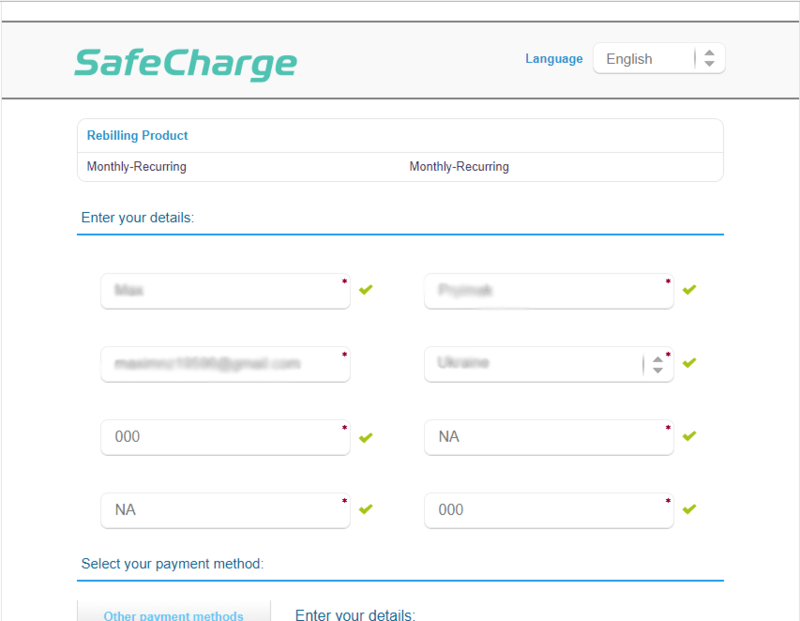 After choosing the payment method, create an account by adding your email address and name. We chose the payment method “Credit Card”. 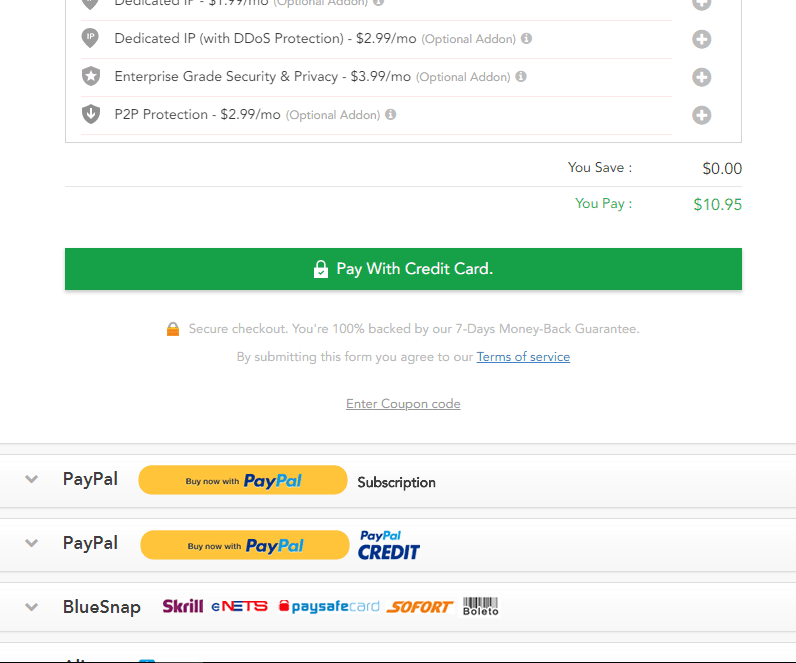 By clicking on the Pay button, you will be redirected to the payment page. There, you will have to add the bank card number, your name, expiration date, and CCV2 code. If everything is okay with your bank card details, the payment will be verified and your subscription will be activated. You will get an email with your login information and the link to the member area. Bear in mind that you will be provided with login data to access member area and the app separately. Additionally, they give you the password to connect to use the apps. The password can be easily changed if you want. All that info is provided in the email and is also displayed in the member area. Having created the account, you have to get an app for your device. 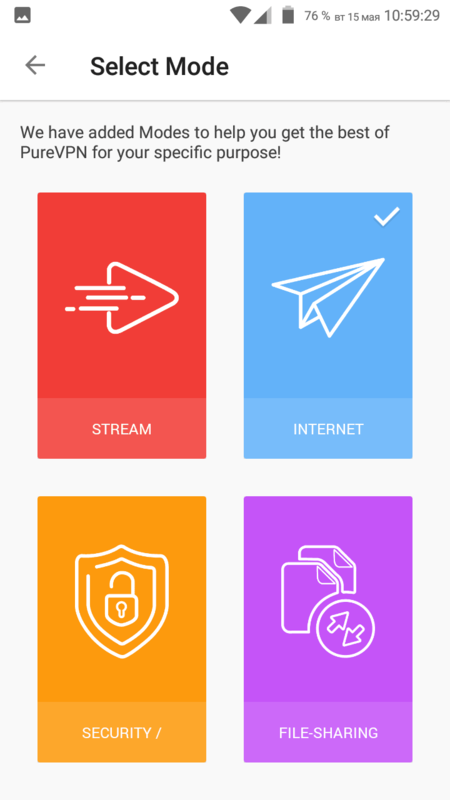 PureVPN offers apps for almost any possible device and operating system: Windows, Mac, Android, iOS, Chrome and Firefox extensions, Android TV, Kodi, and Firestick. Moreover, the service supports game consoles, Apple TV, Roku, BoxeeBox etc. 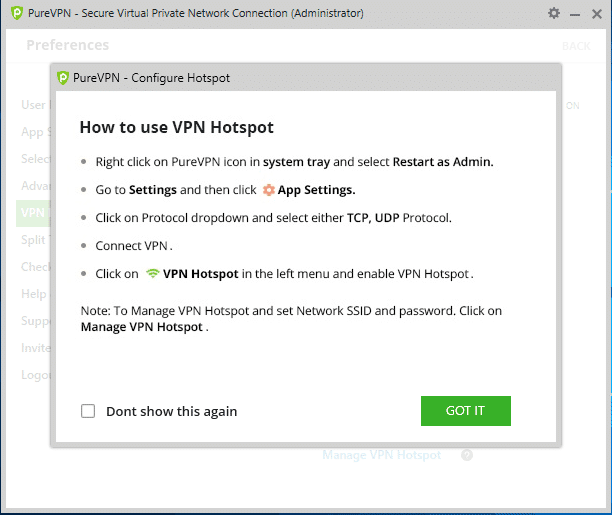 Additionally, you can protect any device in your home network using PureVPN on routers. If you are going to use the application, you will only have to download and install it. 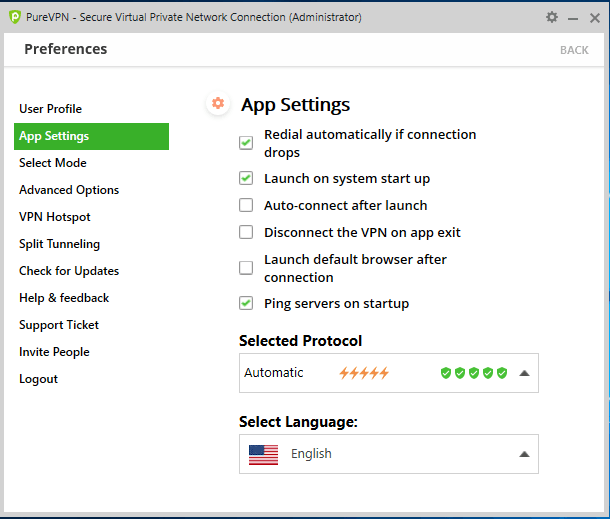 If your device does not support apps, you can find a lot of instructions and guides on how to setup and configure the VPN. 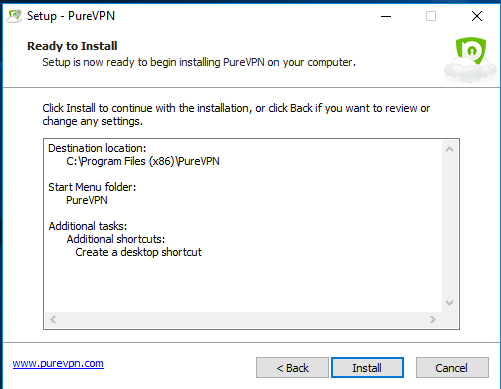 In this PureVPN review, we checked the apps for Windows and Android. The installation file for Windows has a size of only a few megabytes and the installation process only takes a few minutes. After that, you have to type the login information and password that you received in the email or you can take it from the member area on the website. Remember that the login information and password to access the website and the ones to connect to the server are not the same. The Android app can be installed from the Play Store. It is also lightweight and does not take a lot of device resources. 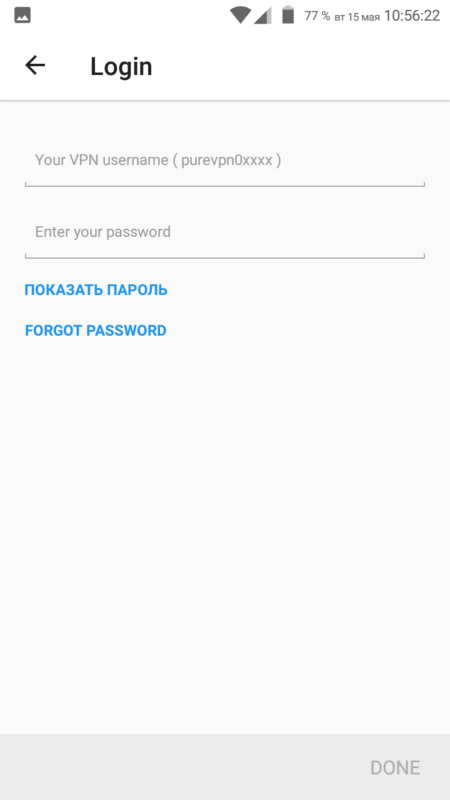 As with the Windows one, you will also have to enter the login and password to use the app. The interface is user-friendly and very easy to use. 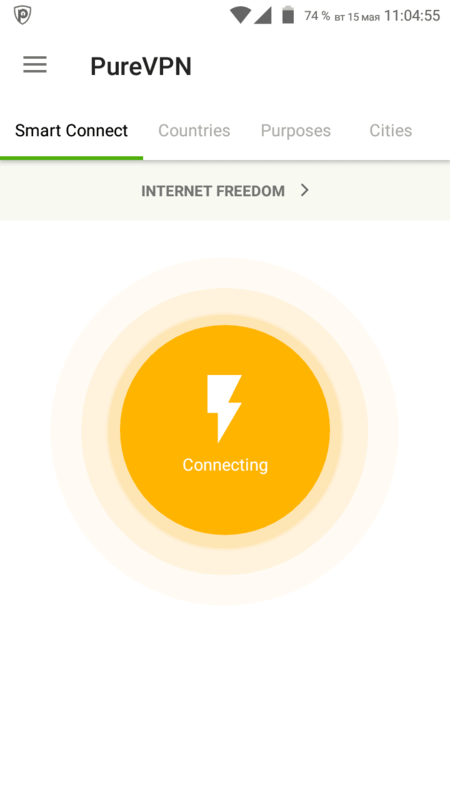 After launching it for the first time, the application will ask you to choose the connection mode: Stream, Internet Freedom, Security/Privacy, and File Sharing. You can change the connection mode at any moment depending on your needs. Actually, we didn’t see much difference between each of them. On Windows, the main screen displays the information about your current connection and offers the list of servers to connect to. All the servers are sorted by the ping time, and by cities. 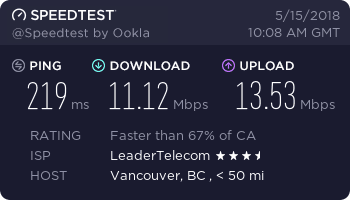 The lower the ping, the higher in the list the server is. However, there is the option to see the servers in alphabetical order. In the top corner, you can go to settings and configure the app as you need. All the necessary settings are available there, however, you will not be able to configure the connection in depth. All the settings are grouped into tabs. On Android, the settings are available from the side menu. You can also change all the basic settings. On one hand, you cannot change much, on the other hand, you are protected from some inaccurate actions. 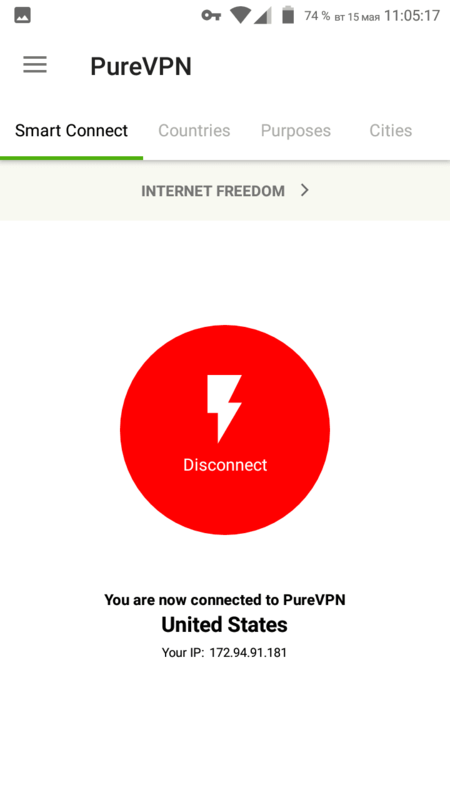 On Android, the VPN connection will be used for all apps. 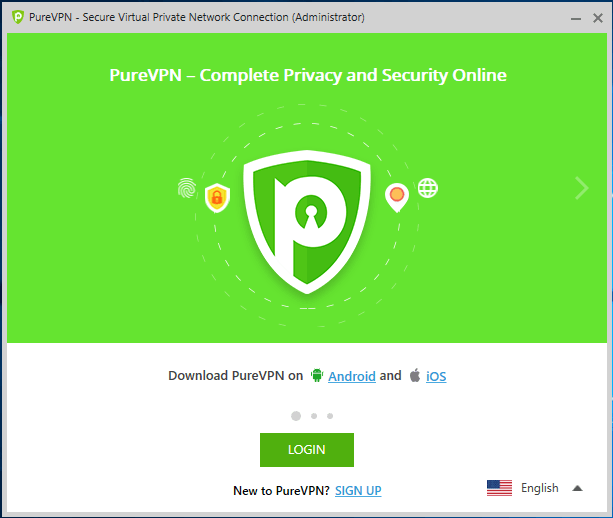 If you would like to use the PureVPN just for surfing, use the browser extension or the Windows app. 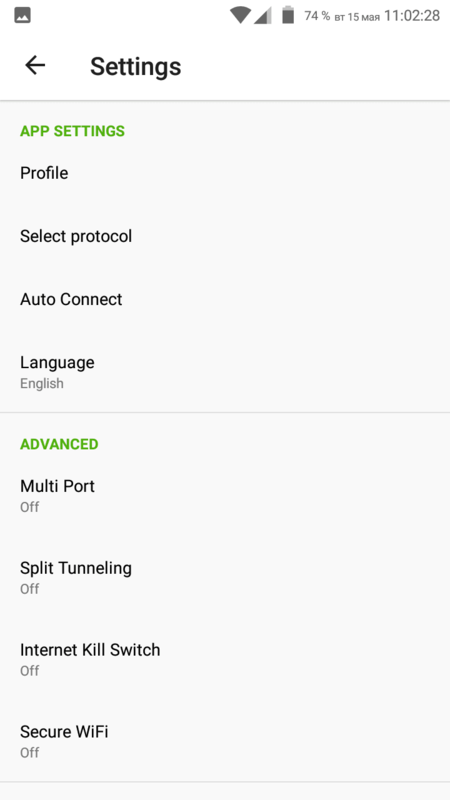 Due to the split tunneling feature, you will be able to set the list of apps to use the VPN connection. 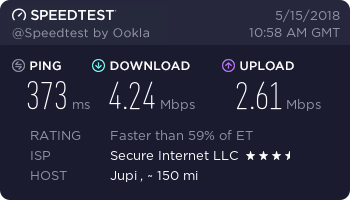 PureVPN provides nothing unique but their set of features are not worse than most competitors. Let’s review some of them. 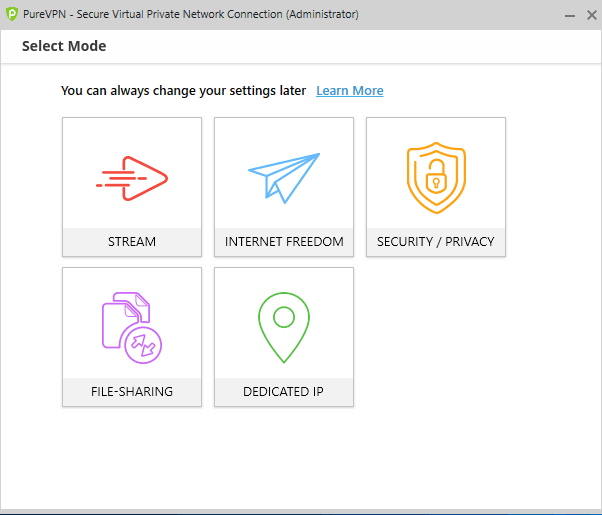 This feature will let you define the apps that will use the secured VPN connection and which of them will use the direct connection. That is really a great feature, but many users complain that it does not work great. We tried the feature and it worked quite well for us. 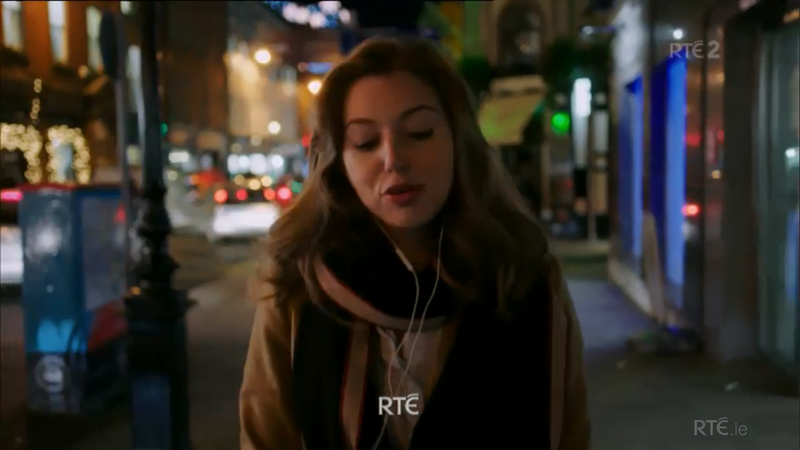 The feature will let you use torrent networks to download files and watch online streaming. There are servers that are specially optimized for P2P services. 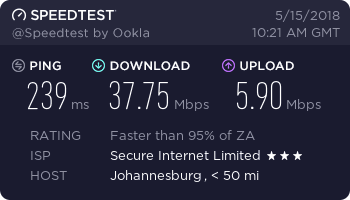 Moreover, your connection will be highly protected and secure. 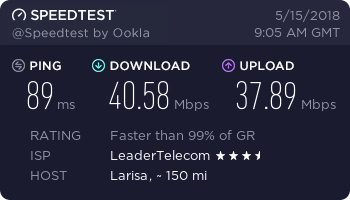 We tried to download some files through torrents and it really worked. 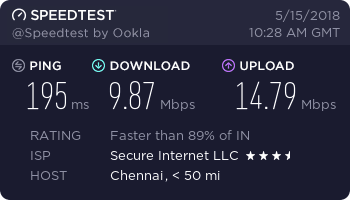 See the speed test below. Some internet providers slow down the connection speed for some certain resources. The anti-throttling feature will help to bypass these limitations. However, the internet provider we use does not practice throttling so we could not check how this feature works. 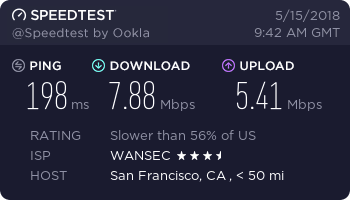 When something goes wrong with the VPN connection, your traffic goes through your ISP. In order to avoid that, activate the Kill Switch feature. 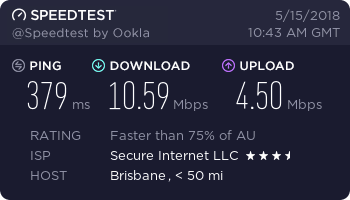 This blocks the direct connection until it reconnects to the server. In some cases, you may require a dedicated IP address to use certain services. Yes, most providers give you a dedicated IP, but it is not always secure. Keep in mind that this feature costs additional money. Some hackers use a lot of computers to run DDoS attacks that can even break your infrastructure completely. PureVPN protects you from that. The built-in firewall will protect your connection from hacker attacks. They will not be able to infect your machine. Leaks make your connection less secure. 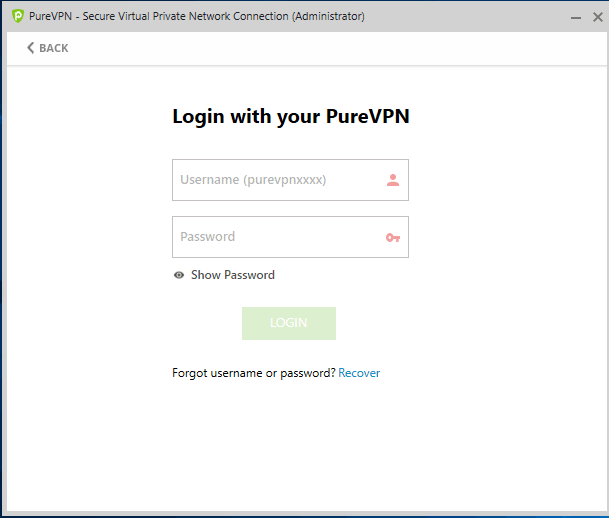 PureVPN promises to protect you from all leaks but in fact, it doesn’t work. All the servers leak your DNS so you are not actually completely hidden and protected. Yes, you may use an ad blocker for your browser but with PureVPN ads will be blocked in all the apps on your device. PureVPN uses their own infrastructure to provide a fast and reliable service in any country in the world. At the moment, you are able to use more than 750 servers in about 180 locations in more than 140 countries. Apart from popular destinations, we could find a lot of exotic and even some strange locations. There are a lot of locations in small island countries in the Pacific Ocean and the Caribbean region, but we could not understand the purpose of countries such as Syria, Yemen, Ethiopia, Tajikistan or even China. They well know that using these locations is not reasonable due to strict governing rules. However, we connected to some of those countries and could access all the banned resources like Facebook, Twitter, YouTube etc. Maybe it will be useful for those who live in those countries. On the official site page, you can find the information about all the locations. In the member area, you will be able to find the information about servers addresses. 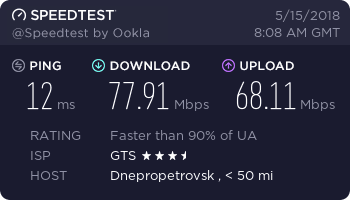 Now, let’s see how fast they are. The test was made in Ukraine. First, we ran the speed test without VPN. 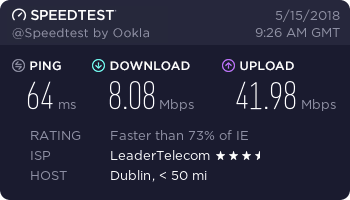 The result was the same as the one stated in the offer from the internet provider. Next, we checked some other services. Now, let’s try some exotic locations. 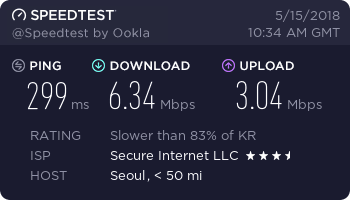 In general, the connection speed is quite decent. 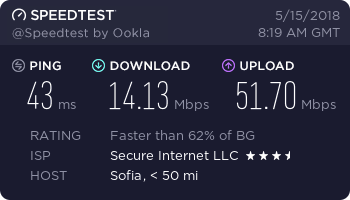 Some servers are faster, some slower but we could not say that it was too bad. 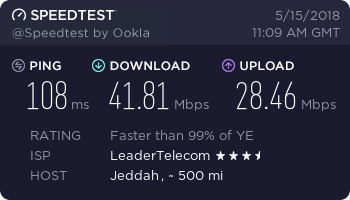 We were really surprised to see such a high speed in Yemen, where war is going on. PureVPN supports all the modern security protocols and a reliable encryption that is industry standard. 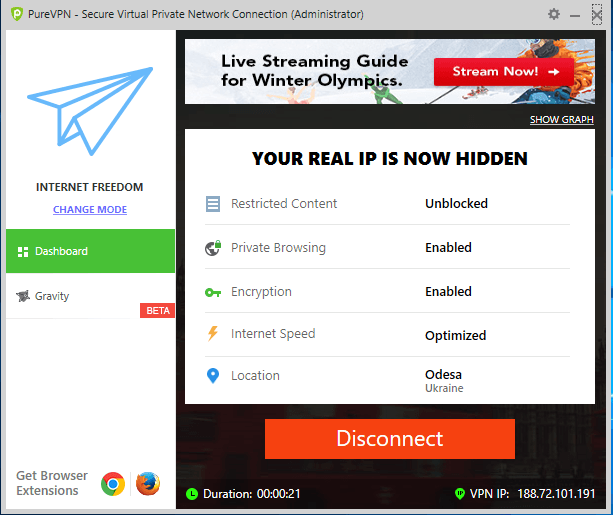 The apps can use OpenVPN, L2TP/IPSec, PPTP, SSTP, and even IKEv2. Additionally, they promise to protect your connection from leaks. Is that true? Let’s check. 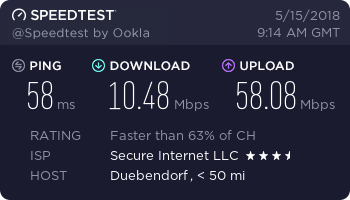 We used whoer.net to check each server we used for the speed test and checked if our VPN connection was secure found that all the servers leaked the DNS! Some of them didn’t show the correct location. Let’s see. 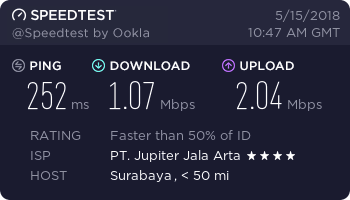 The worst thing is that PureVPN does not acknowledge the problem and tries to blame the users, saying the issue is with their connection. This is awful! The speed is absolutely identical. After that, we checked how it is possible to use some geo-restricted services. 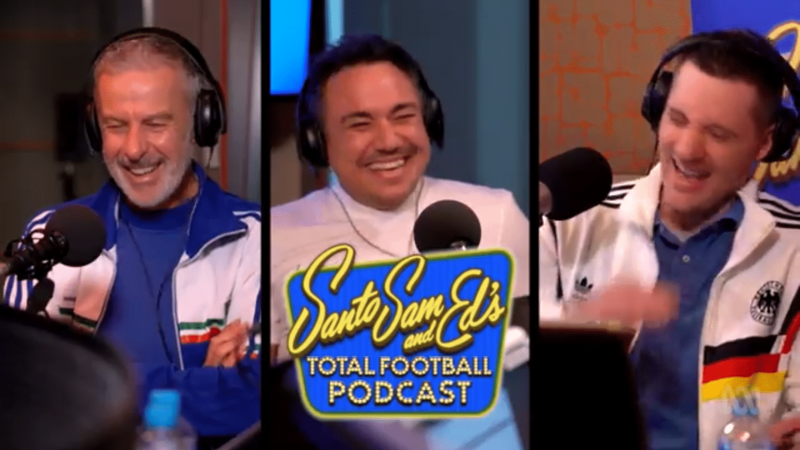 We used Streaming mode, and here are the results. Unfortunately, it does not work in all cases. What about Netflix? 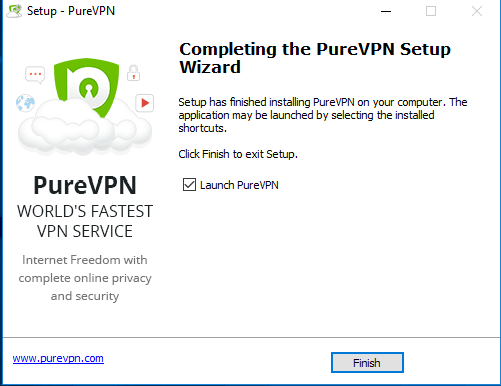 The service officially blocked the access from PureVPN. The service offers browser extensions for fixing the issue, but they don’t work. What about using the service in censored countries? 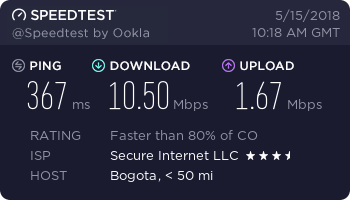 This is one of a few VPNs that provides clear instructions on how to use the service in such countries. You can easily find all the necessary information so it must work okay. The website contains a lot of useful information about all the aspects of PureVPN work. Additionally, they provide support via email and online chat 24/7. Why, on all the servers we tried, the DNS leaks? We heard about the issue several months ago, but there are no changes. How and when are you going to fix it? 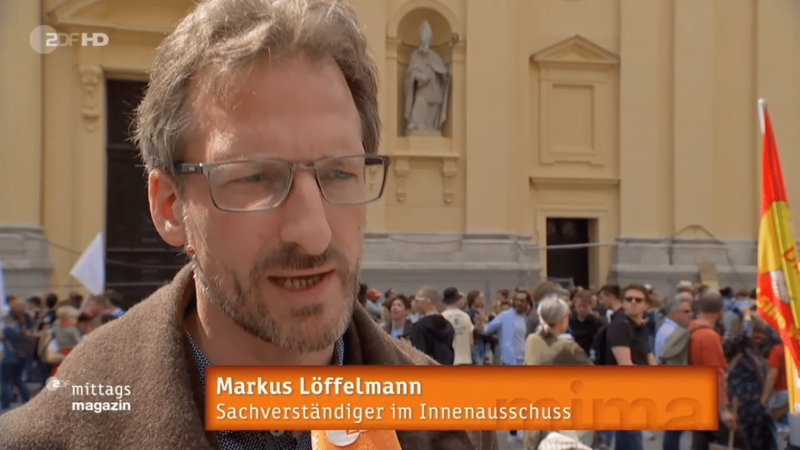 The administrator advised to clear the DNS cache, use nslookup, and, in the end, said that it is because of our connection issues. So, we cannot say that the tech support is good. It is rather useless and they don’t really try to help. The service offers a 7-day money back guarantee, meaning you can cancel the subscription in this period without any additional fees. Recently, this feature was limited: you have to use no more than 3GB and make no more than 100 connections. Now they took off that limitation. Does it really work? You will not find the cancellation form in the member area. To cancel your subscription, you have to go to the support page and find the instruction. You can only unsubscribe from there. We consider that to be unclear and unfair. 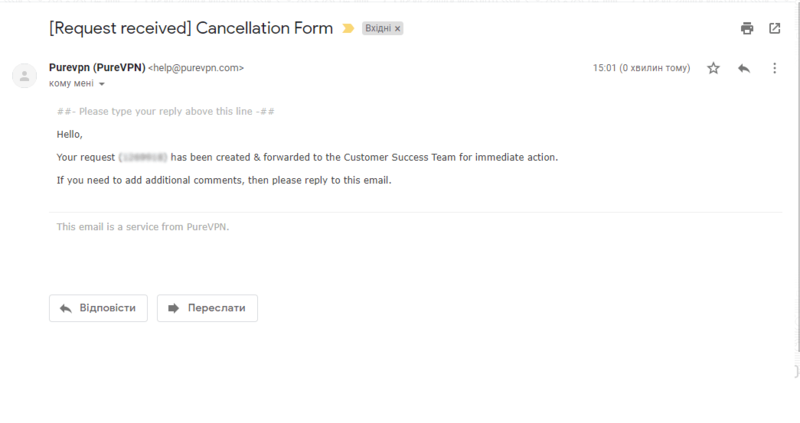 After the cancellation request, we received a confirmation email within minutes. They informed that everything was done. We are now waiting for the refund that can take up to a month. A lot of server locations. Great apps that are available on any platform. I’m very interested in hearing about your experience with PureVPN. 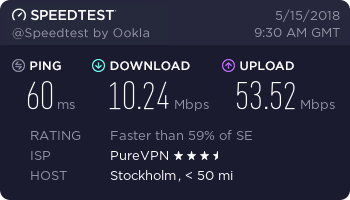 Don’t hesitate to leave a PureVPN review in the comment section!